IDDM is a form of diabetes mellitus (DM) characterized by the dysfunction of the pancreas to produce insufficient or no insulin. This disorder is caused by autoimmune-mediated destruction of the pancreatic β-cells. Over the years, it has been observed that autoimmunity associated with IDDM involves the participation of both B and T autoreactive lymphocytes. The evidence for B cell-mediated autoimmunity is based on the well reported findings that up to 98% of IDDM patients have antibodies against one or more of their own β-cell antigens. These include: insulin ; the major of the 2 isoforms of glutamic acid decarboxylase (GAD) 65 ; two of the protein tyrosine phosphatases, insulinoma antigen-2 and insulinoma antigen-2b (IA-2 and IA-2 β) [3, 4]; the heterogeneous islet cell cytoplasmic antigens (ICAs) [5, 6]. A minority of IDDM patients also have serum antibodies to a glycosylated islet cell membrane antigen, GLIMA . Recently, autoantibodies to other new antigens of protein tyrosine phosphatases, IA-2/ICA512 and IA-2 β/phogrin, expressed by pancreatic islet cells, have been detected . The generation of autoantibodies to islet cells can be observed for as many as 10 years prior to the onset of clinical diabetes . Despite this observation, the existence of autoantibodies is not solely sufficient to cause IDDM development. This conclusion is based on the finding that infants born of antibody positive IDDM mothers can remain free of disease despite the existence of serum autoantibodies to insulin, GAD and other islet cell antigens . On the other hand, persons with severe genetic B cell deficiency can still develop IDDM . Generally, the level of autoantibodies correlates with the state of β-cell destruction [12, 13]. As such, they can therefore serve as indicators for autoimmune diabetes. A low level of GAD-specific autoantibodies is associated with a slow breakdown of β-cell function, while a high level of autoantibodies to IA-2 together with the maturation of autoantibody responses elicited against ICAs or GAD are signs for more severe and imminent β-cell failure . Today it is well-known that IDDM is mediated by autoreactive T cells. The most direct indication of this finding is due to the examination of biopsy tissues obtained near the time of IDDM diagnosis, which show that the islets are infiltrated with activated T cells, primarily of the CD8+ population but also, to a lesser extent, CD4+ cells and macrophages as well [15-18]. The association of IDDM with the major histocompatibility complex (MHC)-associated susceptibility gene locus, IDDM1, is also well reported . Recurrence of organ-specific autoimmunity is responsible for β-cell destruction in diabetics transplanted with a pancreatic graft donated by their discordant, non-diabetic monozygotic twins . Furthermore, IDDM is transferable to non-diabetics given bone marrow transplant donated by diabetic HLA-identical siblings, or allogeneic donors [21, 22]. Autoreactive CD4+ cells of the Th1 subset are potentially capable of directly and indirectly causing islet damage: directly via the release of cytotoxic mediators such as nitric oxide or oxygen radicals , and indirectly through the secretion of IL-2 and IFN-γ by activating autoreactive CD8+ T cells and macrophages leading to their infiltration of the islets . In this regard, characterization and quantitation of autoreactive T cells in humans are important for the development of an improved diagnosis of IDDM, and intervention strategies for arresting disease progression. However, direct detection of autoreactive T cells in IDDM is more difficult than the detection of autoantibodies. The reason is that CD4+ and CD8+ autoreactive T cells generated in the course of IDDM development are only present at very low frequencies in the circulation of subjects with recent disease onset [25, 26]. Assays dependent on in vitro expansion to allow the detection of autoreactive CD4+ T cells in the pool of peripheral blood leucocytes (PBL) of diabetics are used in most studies. When employing in vitro proliferation assays, PBL of individuals with recent onset of IDDM respond to human insulin , a spectrum of islet cell antigens [28-30], and GAD . Regarding detection, GAD-specific autoreactive T cells can be generated and cloned from peripheral T cells of recent onset IDDM patients who are carrying the disease-susceptible HLA-DR alleles . Furthermore, endogenous GAD fragments presented by IDDM-associated HLA class II molecules can be isolated . The identification of HLA-DR-restricted GAD epitopes facilitates the in vitro expansion of peripheral GAD-specific T cells from individuals with IDDM at-risk and subjects with IDDM and the subsequent demonstration of the αβTCR specificity of the autoreactive T cells against the corresponding ligand using the HLA-class II tetramer analysis procedure . Some laboratories focus on the characterization of diabetogenic CD8+ T cells. So far, autoreactive CD8+ T cells have been detected in humans against two β-cell antigens, namely GAD 65 and preproIAPP (precursor human islet amyloid polypeptide protein), which are cosecreted with insulin in subjects recently diagnosed with IDDM. GAD 65-specific cytotoxic T cells (CTLs) carrying the disease-associated allele, HLA-A2, following in vitro expansion with a HLA-A2 binding peptide, have been generated from PBL of these individuals . A recent study describes the presence of an autoreactive CD8+ subset in the circulation of recently diagnosed patients that recognize a 9 amino acid long immunodominant epitope of preproIAPP in the context of HLA-A2 using an IFN-γ-based ELISPOT assay . The feasibility to detect and quantitate circulating autoreactive T cells directly at early disease onset can undoubtedly serve as a valuable tool for improved diagnosis of IDDM, and the development of better tolerogens which can be used to arrest IDDM onset. Normally, IDDM is diagnosed by the time 70-90% of the patients' islet cells are already destroyed. Over the years, immunological intervention strategies have been tested for their effectiveness at the prediabetic stage of the disease to prevent its subsequent onset, or at the early stage of the disease to halt further assault on the pancreatic islets in order to allow the remaining function of the organ to be preserved. A common approach to these strategies is to target the autoreactive T cells directly. Several of these developments do work primarily in the NOD mouse model of human diabetes, some have reached the clinical trial stage. The remaining part of this review will discuss the ongoing development of these strategies and the rationale behind why they are aimed at interfering with the activity and function of autoreactive T cells believed to be involved in causing IDDM. In view of the detection of autoreactive T cells showing specificities against islet cell antigens, intervention strategies involving the administration of soluble and formulated islet cell antigens aim at tolerizing these autoreactive T cells. For this type of approach, three antigens, namely insulin, the glutamic decarboxylase (GAD65) and heat shock protein (hsp) 60, have attracted the most attention since diabetics are known to mount immune responses against them. It has been shown in preclinical studies that administration of the native form or analogs of these antigens induce T cell mediated regulatory mechanisms capable of preventing the development of autoimmune diabetes in the NOD mice. Thus, prediabetic animals treated with insulin are less susceptible to subsequent IDDM development [37, 38]. Induction of insulin-specific regulatory T lymphocytes is protective since untreated mice that accept T cells from those administered with insulin are also protected from disease development. The protection mechanism can be attributed to the production of immuno-suppressive cytokines, such as IL-4, IL-10 and TGF-β that exert negative regulation of the diabetogenic Th1 cells . Prediabetic NOD mice subcutaneously injected with a recombinant version of GAD65 show a cellular response dominated by the secretion of IFN-γ by the GAD65-specific Th1 cells. Interestingly, additional injection of GAD65 is able to change the response deviating towards the production of Th2 cytokines, IL-4 and IL-10 that suppress the pathogenic role mediated by the autoreactive Th1 T cells . In 1998 a previous pilot study reported that insulin therapy is effective in preventing IDDM onset in a significant number of high-risk individuals . However, clinical trials conducted as part of the Diabetes Prevention Trial-Type 1 (DPT-1) have recently reported that both low-dose insulin administration using a similar protocol to that in the pilot study, as well as the oral intake of insulin capsules are unable to protect high-risk subjects from developing the disease . The reason for this outcome can only be postulated at the present time to be attributable to several factors, such as a difference in the study groups or insufficient administration of insulin for making a difference . It has not been shown in a study conducted by the American Diabetes Association that intervention with the GAD65 molecule (Diamyd) is able to offer clear clinical benefit. The immunogen is currently being evaluated for its effectiveness to stop the onset of LADA (latent autoimmune diabetes of adults) . The function of a subset of pathogenic T cells can be modulated via the engagement of their αβTCR with a natural (depending on the mode of administration) or an artificial ligand in association with the respective MHC class I or II molecule. A fragment comprising the amino acid residues 9-23 of the human insulin B-chain contains a promiscuous immunodominant T cell epitope that can be recognized by CD4+ autoreactive T cells of diabetics and the NOD mice. A proportion of CD4+ T cells infiltrating the diseased islets of the diabetic mice responds to peptide B:9-23, suggesting that autoimmunity directed against this site of the human insulin B-chain significantly contributes to IDDM [45, 46]. Subcutaneous injection of pepitde B:9-23 formulated in IFA or intranasal administration of the peptide is capable of conferring protection against IDDM development in prediabetic NOD mice. The protection is associated with modulation of autoreactive T cell function as judged by their reduced capability to proliferate to peptide B:9-23 [47, 48]. More recently, an artificial version of peptide B:9-23, NBI-6024, containing alanine substitutions at positions 16 and 19 of the parent fragment has been tested for its effectiveness in arresting IDDM. The altered ligand inhibits the proliferation of B:9-23-specific autoreactive T cells obtained from the NOD mice. Furthermore, subcutaneous injection of soluble NBI-6024 is capable of protecting both prediabetic and diabetic NOD mice from disease development. The mechanism of protection has been attributed to immune-deviation based on the observation that NBI-6024 preferentially induces T cells of the vaccinated animals to produce Th2 immunosuppressive cytokines, IL-4 and IL-10 . In tests NBI-6024 shows sufficient safety levels to reach a phase I clinical trial. It will be interesting to know whether the strategy adopted to target an immunodominant population of diabetogenic T cells may prove to be more effective in preventing IDDM development than its native parent protein. In this regard, a separate report has recommended that the soluble immunogen would be best administered at low doses to avoid/minimize the development of anaphylaxis . In addition to its ability to modulate the function of autoreactive CD4+ T cells, the fragment comprising the amino acid residue 15-23 within NBI-6024 also appears to contain an immunodominant murine MHC class I-restricted T cell epitope. Murine islet resident diabetogenic CD8+ T cells are able to recognize peptide B:15-23 . Despite the fact that an efficacy study has not been performed with peptide B:15-23, the results of a recent study suggest that vaccination with an altered influenza virus hemagglutinin (HA) MHC class I-restricted ligand can result in modulating the activity of diabetogenic HA-specific CD8+ T cells in the prevention of diabetes onset in a transgenic mouse model. Efficacy of the therapy is associated with decreased infiltration of the pathogenic T cells to the islets, and reduced cytotoxic potential of the effector cells . GAD65 epitopes have similarly been investigated for their capabilities to arrest IDDM in the NOD mouse. The rationale for this approach is based on the finding that spontaneous disease onset in the diabetic animal is associated with T cell reactivities directed against various epitopes of GAD65. 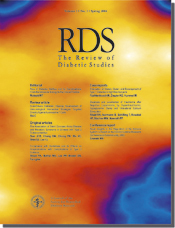 Intervention of GAD65-specific autoreactivity at the prediabetic stage may therefore be an effective means for IDDM prevention. We already know that certain epitopes of GAD65 are capable of arresting IDDM in NOD mice. GAD65 246-266, but not GAD65 509-528 or GAD65 524-543 peptide, given in PBS to pregnant animals using the ip (intraperitoneal) route induce tolerance of the offspring in terms of resistance against diabetes development. Surprisingly, vaccination with a mixture of GAD65 509-528 and GAD65 524-543 peptides, but not a triple combination of GAD65 509-528, GAD65 524-543 and GAD65 246-266 is also effective. The reason for this outcome is unclear at the moment. Overall, more investigation is needed to establish a clearer picture of the effectiveness of GAD peptides in IDDM prevention [53-55]. Another approach to prevent neonatal NOD mice from developing IDDM involves the administration of a monoclonal antibody directed against the CD3 complex non-covalently associated with the αβTCR expressed on conventional CD4 and CD8 subsets of T cells. Upon engagement of the αβTCR with its foreign ligand, or ligand derived from self antigen (in the case of autoreactive T cells), CD3 can mediate signal transduction events leading to the activation of T cells. Thus, binding of an anti-CD3 antibody to CD3 can be expected to affect the acitvity of autoreactive T cells in causing damage to the pancreatic β-cells. Preclinical studies demonstrated that young streptozocin (STZ)-induced diabetic CD1 mice administered with the non-mitogenic [F(ab')2] fragment of a monoclonal antibody directed against the ε chain of human CD3 are prevented from developing insulitis. Protection is attributed partly to the depletion of some T cells, and partly to the antibody being capable of inducing anergy to a significant proportion of T cells as judged by their failure to produce the Th1 type of cytokines such as IL-2 and IFN-γ . Similar to conventional T lymphocytes, full activation of autoreactive CD4+ and CD8+ T cells requires both the engagement of its αβTCR with an antigenic peptide in association with the respective MHC class I or II molecules, as well as a second signal provided by co-stimulation. A co-stimulatory signal will be generated by the interaction of CD28 molecules expressed on naïve T cells with its ligands, B7-1 (CD80) and B7-2 (CD86), presented on APCs. Of the two ligands, B7-2 plays a more dominant role in interacting with CD28 to trigger T cell activation [57, 58]. In NOD mice, the engagement of CD28 with B7-1 and B7-2 are critical for the control of spontaneous diabetes development. Animals without CD28, and B7-1 with B7-2, have a reduced number of CD4+CD25+ regulatory T cells and succumb to clinical disease faster than their wild-type counterpart . Reagents that bind B7-1 and/or B7-2 have been evaluated for their effectiveness to block the activation of autoreactive T cells in the course of IDDM prevention in NOD mice. Indeed, prediabetic NOD mice of 2-3 weeks of age given multiple doses of an anti-B7-2 monoclonal antibody over a period of 8 weeks are protected from subsequent development of diabetes. Animals subjected to a similar regimen by injecting them with a fusion protein, CTLA-4Ig comprising the extracellular domain of CTLA-4 and the fragment of human IgG1, which binds to B7-1 and B7-2 to inhibit co-stimulation, are also protected from the onset of IDDM [60-62]. Fine analysis of the NOD mice subjected to the entire course of anti-B7-2 and CTLA-4Ig treatments identifies that the reagents inhibit the development of clinical disease rather than insulitis because animals not treated on weeks 6 to 8 (final phase of therapy) succumb to IDDM . Surprisingly, the administration of an anti-B7-1 monoclonal antibody mediates an opposite effect by triggering an accelerated onset of the disease not only in the diabetes-prone female mice, but in the normally diabetes-resistant male mice as well. Apparently, disease exacerbation is due to the presence of pancreatic T cells displaying higher expression of CD69 indicating that T cells are in a higher activated state than those found in the pancreas of animals treated with the anti-B7-2 antibody and CTLA-4Ig. The contrasting outcome obtained from these studies can be attributed to the differential expression of B7-2 and B7-1 on lymphoid cells. Given that B7-2 is expressed more rapidly than B7-1 on APCs when they become activated , blocking of B7-2 seems essential for inhibiting its interaction with CD28 to arrest diabetes development. Results obtained from studies of B7-2 knock-out NOD mice similarly show that co-stimulation in the total absence of B7-2 participation is capable of delaying insulitis development until late in the adulthood of the animals. This is associated with a redistribution of pathogenic T cells to the spleens instead of the islets of the mice. Despite the observed clinical benefit, T cell differentiation and activation without B7-2 in the B7-2 knock outs generates neuropathy characterized by severe inflammation of the peripheral nerves which precedes insulitis development . On the other hand, blocking of B7-1 expressed on activated T cells would inhibit its interaction with CTLA-4 leading to a failure in generating a regulatory signal to control IDDM development. Overall, costimulatory pathways leading to the regulation of T cell activation and function are complex, and further in-depth investigation is required to modify them for the intervention of IDDM. In the course of spontaneous diabetes development, NOD mice develop an immunodominant autoreactive T cell response directed against a fragment comprising the amino acid residues 437-460 of hsp 60. T cells generated against a peptide, p277, encoding this sequence of hsp60 are diabetogenic based on the observation that recipient mice adoptively transferred with the cells turn diabetic . Thus, targeting this p277-specific subset of T cells to modulate its pathological function may prove useful for arresting IDDM. The spontaneous development of diabetes in adult NOD mice is preventable by a single injection of a hsp60 peptide, p277, formulated in IFA (Incomplete Freund's Adjuvant). Efficacy is associated with a reduced infiltration of IFN-γ-secreting T cells to the islets of the p277 treated mice [66, 67]. Follow up studies have demonstrated that T cells of p277 injected NOD mice secrete disproportionate amounts of IL-4 and IL-10 to down-regulate Th1 responses elicited not only to the immunizing antigen, but to GAD65 and insulin as well. Apart from the p277 encoded epitope, another study reports the discovery of another hsp60 epitope represented by the sequence 166-185 of the protein that is effective in arresting diabetes in the NOD mice . Peptide p277 is now being tested in a double blind phase II clinical trial. Subjects with recent onset of IDDM subcutaneously injected with two doses of the peptide maintain their insulin secretion based on C-peptide measurement, and reduce their need for exogenous insulin as compared to the placebo group . Several antibodies directed against lymphocytic antigens have been assessed for their effectiveness in halting disease progression in NOD mice. Apart from its effectiveness in preventing IDDM onset, multiple administration of the human CD3ε chain-specific monoclonal antibody is capable of conferring long-term protection in adult NOD mice with overt diabetes. Adult NOD mice injected daily with a low-dose regimen of 5.0 μg of the antibody for 5 days are protected from accelerated IDDM development induced by cyclophosphamide. The same therapeutic application is also effective in arresting spontaneous diabetes in adult animals for a significantly long period of time. Apparently, protection is not associated with the clearance of diabetogenic CD8+ cells in the pancreatic islets of the animals . The efficacy generated by anti-CD3 treatment is mediated primarily by TGF-β that is produced by a subset of CD4+CD25- regulatory T cells, as shown in a follow-up study using a similar protocol with a high-dose regimen of 50.0 μg of the antibody . Protection provided by anti-CD3 antibody administration is also attributed to the induction of anergy in autoreactive CD8+ cells . The safety of a humanized version of the murine anti-CD3 monoclonal antibody, hOKT3γ1Ala-Ala, has been evaluated and subsequently approved for phase one trials in patients with recent-onset of IDDM . So far, the results obtained from this trial are encouraging as judged by the majority of the treated patients being able to maintain and improve their insulin secretion. Interestingly, one parameter associated with the observed efficacy is an increase in the number of CD8+ cells in the treated subjects . The regulatory/effector function of these cells remains to be investigated. NOD mice can also be protected from spontaneous diabetes development when they are treated with the non-depleting anti-CD4 monoclonal antibody, YTS177.9 [75, 76]. The protection mechanism seems to be due to the antibody acting directly against the autoreactive T cells since mice with infiltrates of CD4+ diabetogenic T cells in their islets are also protected upon the administration of the antibody. Follow-up studies suggest that YTS177.9 binding affects autoreactive T cells by altering their capability to secrete pro-inflammatory cytokines [76, 77]. Antibodies capable of interfering with the trafficking of autoreactive mononuclear cells to the pancreatic islets have been evaluated for arresting the ongoing diabetes in the NOD mice. Migration of lymphocytes, including autoreactive T cells, requires chemoattractants and their adhesion to endothelial cells for migration from the circulation into the tissues and organs . The integrin, α4β7, is expressed on the infiltrating mononuclear cells during the process of insulitis development . A monoclonal antibody against the α4-subunit of the heterodimer, α4β7, or VCAM-1 (the ligand for the integrin), is able to block the entry of insulitis-causing mononuclear cells to the islet of the diabetic mice [80, 81]. CD43 (leucosialin), expressed as a 95-135 kDa highly glycosylated protein on T cells, is an adhesion molecule . The administration of a monoclonal antibody against CD43 is effective in preventing the onset of diabetes in newborn and adult NOD mice . Protection is attributed to the inhibition of autoreactive T cells migrating to the pancreas. Results of earlier studies show that the administration of mono-specific antibodies against MHC class I and CD8 molecules are effective in preventing further β-cell destruction in the IDDM-prone male adult NOD/Shi/Kbe and female NOD mice, respectively [84, 85]. These observations are associated with severe T cell depletion as judged by the absence of CD8+ cells in the spleen and islets of the experimental mice. There has been no follow-up in the further development of these reagents for the prevention of IDDM in humans. A separate approach using a fusion protein comprising a MHC class II molecule linked to a specific altered ligand has been tested preclinically for its effectiveness in preventing IDDM progression. The ligand of a chimeric construct, BDC2.5-IAg7, binds well to a subset of CD4+ diabetogenic T cells (BDC2.5). Administration of BDC2.5-IAg7 is able to confer protection to NOD.BDC2.5 TCR transgenic mice transferred with the BDC2.5 cells. Efficacy is attributed to the ability of the fusion protein to induce death and anergy to some of the BDC2.5 cells and to modulate the remaining ones to secrete more of the Th2 type of anti-inflammatory cytokines . The advent of our understanding of IDDM has opened up a variety of opportunities for us to utilize in the search for better treatment and prevention of the disease. Improved detection of autoreactive T cells in patients with IDDM may offer better and earlier diagnosis of the disease. Improved characterization of diabetogenic T cells can be applied to the development of more effective intervention strategies to arrest the spontaneous progression of IDDM. Despite the failure of the insulin trials, results revealed by the clinical trial conducted with the human anti-CD3 specific monoclonal antibody are encouraging, and there are promising findings from other preclinical studies as well. Although not covered in this review, it needs to be mentioned here that the role of regulatory T cells in the control of IDDM is also becoming clearer, and ways to stimulate them to exert positive immunoregulation for protection against IDDM are emerging. Let us hope that some more of these strategies will make their way through to clinical assessments.